This eyeshadow palette comes in a sturdy packaging which is very much similar to the MAC Eyeshadow X 9 palettes. They do have an external cardboard box which has all the details written on it. It does not come with a mirror or an applicator and has a see-through packaging. 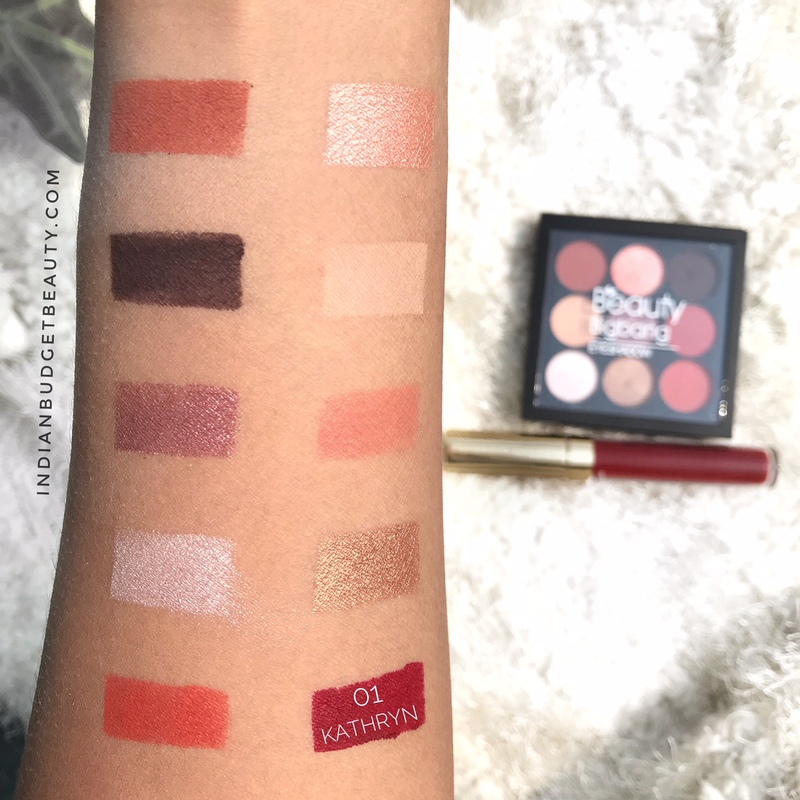 SHADES & SWATCHES: This palette contains 5 matte shades and 4 shimmer shades. The shimmer from this palette is very pretty and translates well on the lip. The mattes are pretty buildable and not chalky. All the shimmer are pigmented except Shade 6 which is not at all pigmented. My Thoughts On the Product: This palette has warm-toned shades which are very much in trend these days. It also has a good amount of mattes to shimmers ratio. You will be able to create very pretty eye looks starting from everyday looks to full-on glam eye makeup looks. You get a skin tone shade to set your concealer/primer into place, two highting shade, three transition shades, a dark shade for smoking out your eyes and two beautiful lid shimmer shades. The shade selection is very intact and it will help you achieve any kind of look. Now, coming to their texture, the mattes, as well as shimmers, are very soft to touch. The mattes are blendable and do not have many fallouts. The shimmers do have fall outs. I would suggest that you use an eyeshadow base or primer underneath to make the eyeshadows pop. These shades last on me for 5-6 hours. PACKAGING: This lipstick comes in a pretty packaging with gold detailing on its cap. I find the packaging to be similar to Colourpop's packaging. It is pretty and convenient since it has a see-through body. SHADE & FORMULA: Kathryn is a pretty blue-based red shade which is very bold. One swipe is enough to give opaque coverage. It just brightens up your face and will suit all types of skin tones. If you want a long lasting lipstick, then you should definitely check this out since it has a smudge-proof and waterproof formula. 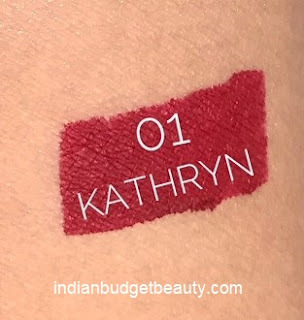 Kathryn is a beautiful red shade which is quite essential. Lastly, other than its fragrance, I love everything about this lipstick. But, it can not be removed with simple micellar water, you would need an oil-based makeup remover to do so. BeautyBigBang.com provides FREE worldwide shipping. They accept Paypal, Credit card, Western Union, and Wire transfer. You can change the price according to your country. They also have the price listed in Rupees. SHIPPING: My products were shipped through the Chinese mail and it reached me approximately after 2 weeks. They also provide you with a tracking code and I haven't paid any customs. 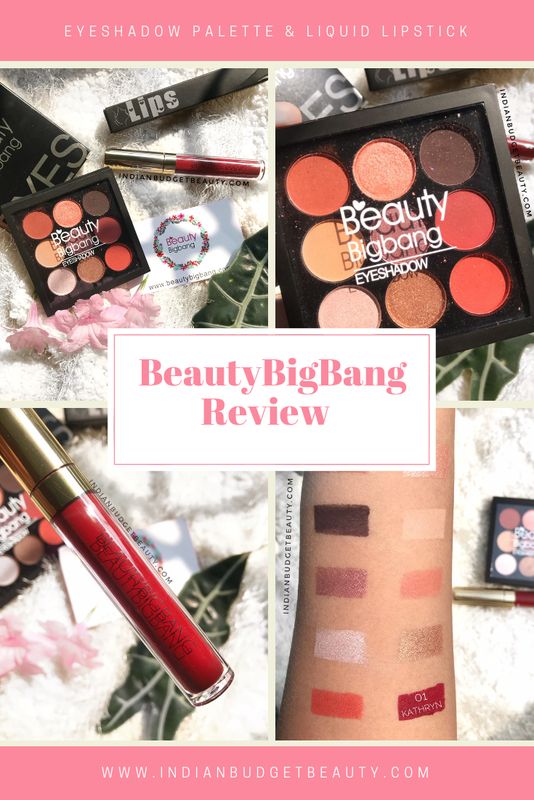 My BeautyBigBang Review: Overall, I loved the products. Their shipping was faster than I thought. All the products were bubble wrapped safely and were sent to me securely. I do have a 10% off coupon for you all.